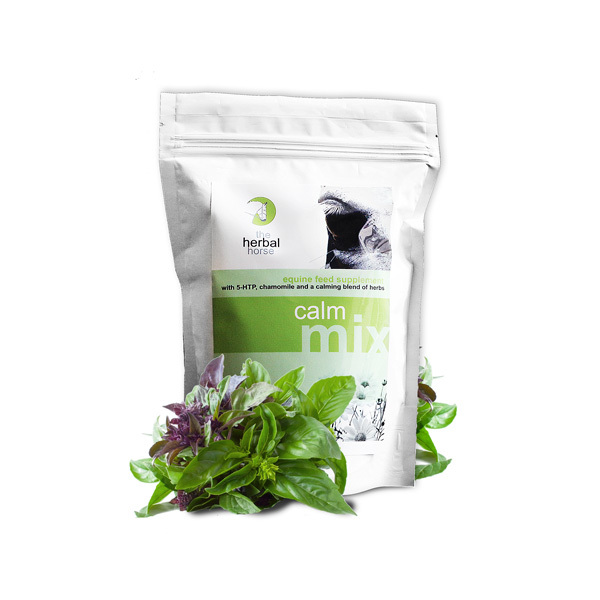 A calming supplement with a blend of herbs, 5-hydroxytryptophan, vitamin B1 and magnesium formulated to help calm without causing drowsiness. Not available in the UK or Ireland. I had a OTTB who would shut down and become downright dangerous if he got stressed or got a fright, in hand and under saddle. He went straignt through fencing with me on him, straight into a ditch as well. And he can pig root, on my. He was also food agressive. I tried oh so many things and finally, as a last ditch effort because so many people had recommeded it to me I tried the HH calm mix. The change happened overnight. He was no longer food aggressive. He no longer shuts down and becames dangerous, but he was still very aware and expressive. I cannot reccomend this product hightly enough if your horse is tense, if he bucks or flyleaps, if he is dangerousely spooky, or if he is in any way aggressive because of tension. Have a chestnut gelding, off the track with one owner – collected him from Shongweni to Gauteng .. riding in the arena at home, spooked, would not concentrate, always fidgeting. Tried another product which worked against him and just hated riding him because did not trust him. Got hold of Beryl, put him on Calmix and viola – average dressage scores were 52 and now getting anything between 62 and 71% in registered classes! Hardly looks at anything anymore but still has a presence in the arena. Thank you! we have a very highly stung Fresian cross gelding at the yard who was a handful to work with and ride, after using the product he settled down and his concentration level was much better and he is easier to work with and ride. I have a young Boerperd X with a major case of ADhD. Without Calm Mix I think he would be a total terror! The Calm Mix makes him rideable and takes that edge off so that he can focus for more than 2 seconds at a time. My daughter has a gelding who is totally impossible and gets so excited he can’t concentrate and the only way to get any sense out of him is if he is on calm mix. It does not affect his performance at all it just means he actually focuses on what is being asked of him and then we get results. If he misses a day he is back to his useless scatter brained self.